When “Stone Nullah Lane” comes up in conversation, it’s usually in the context of a new bar or dinner spot opening in the street’s trendy surrounds. But before the current slew of F&B hot spots, there was Blue House. 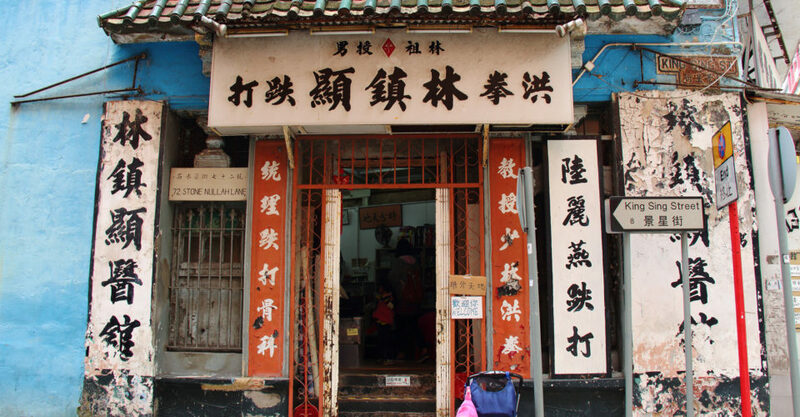 So named for its distinctive blue walls, the four-storey tong lau was first built as a hospital in the 1870s, before transforming into a temple, martial arts school, and then an osteopathy clinic. It’s one of the few remaining tong laus that was designed with balconies. Now, the Grade I historic building is a residence, with the Hong Kong House of Stories Museum located on the ground floor. See more Heritage snippets here.